A story in the online news site, Stacey Page Online, notes that several women’s soccer players at Grace College have been honored. A portion of the story appears below. Click here to read the complete article. 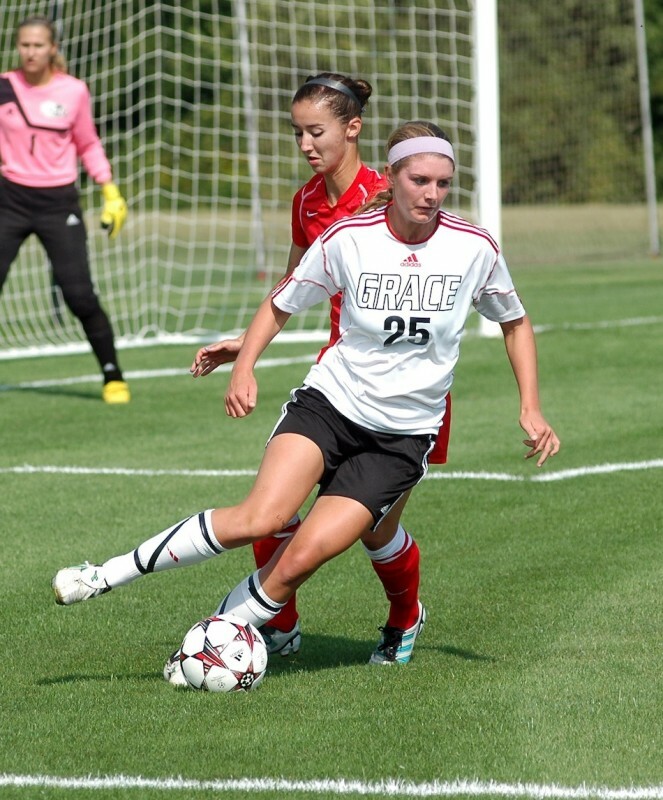 WINONA LAKE – After putting the finishing touches on a stellar season, the Grace College women’s soccer players were given several national awards for the 2013 campaign. Freshman Meredith Hollar and sophomore Carianne Sobey highlighted the Lady Lancers’ award haul when they were named honorable mention for NAIA All-American. Hollar, who was also named the Crossroads League Offensive Player of the Year, tallied 11 goals. The freshman forward, a former star and record holder at Warsaw Community High School, was lauded as an NCCAA First Team All-American – the only freshman to appear on the 11-player All-American squad. She recorded eight goals in eight CL regular-season contests before suffering an injury late in the season. Sobey, who earned the CL’s Midfielder of the Year award, picked up NCCAA Second Team All-American honors. The sophomore midfielder handed out 10 assists to go along with three goals, leading the league with seven assists in CL play.